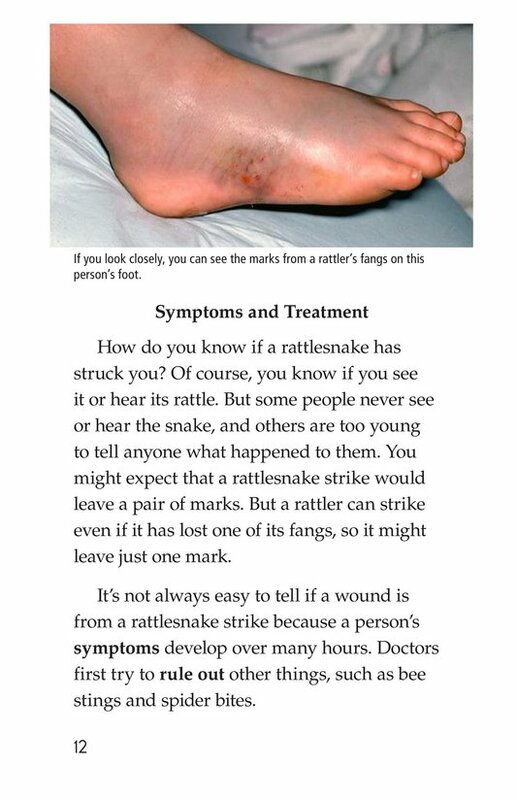 > Books > Leveled Books > Level S > Snakebite! 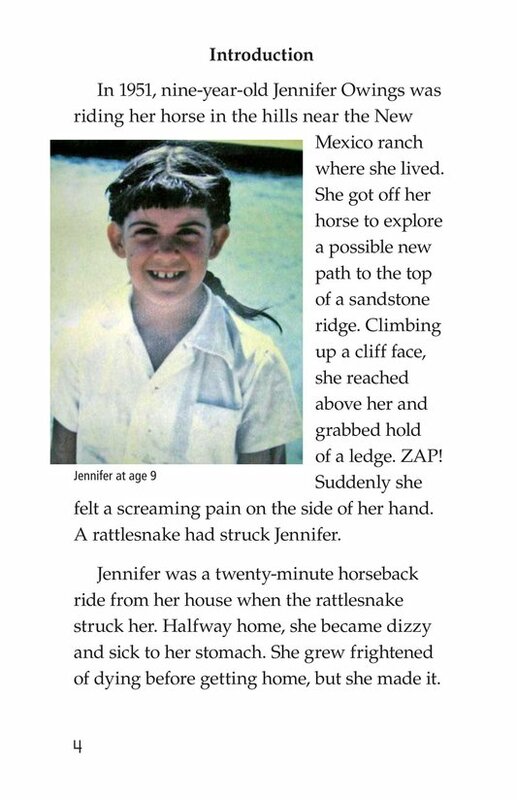 Meet Jennifer Owings, a girl who was struck by a rattlesnake many years ago. 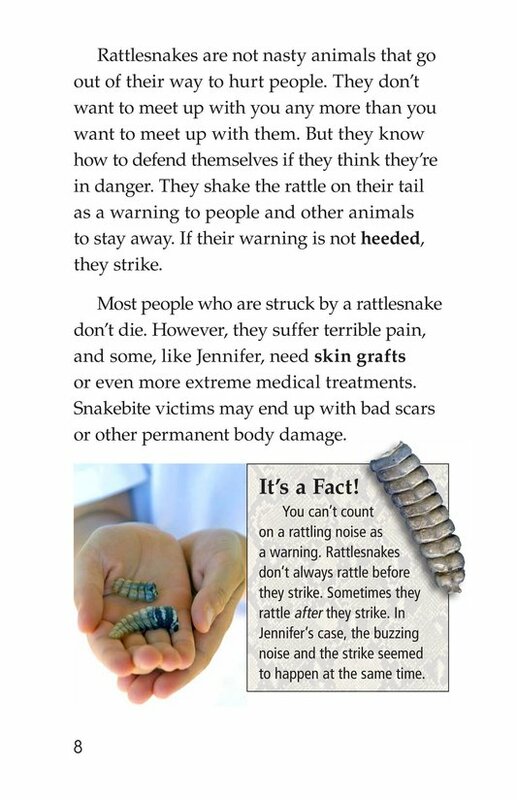 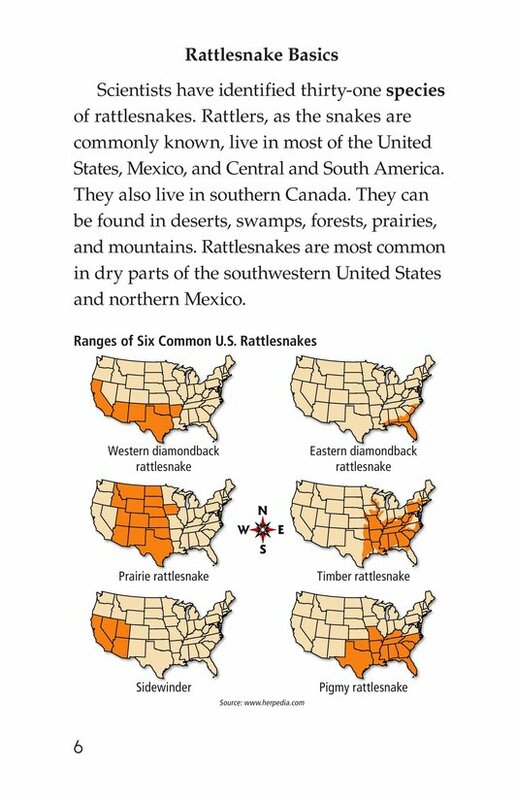 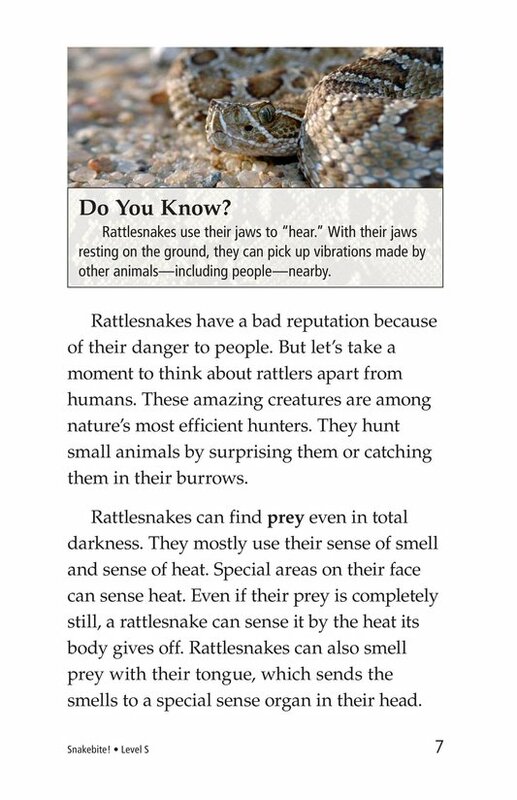 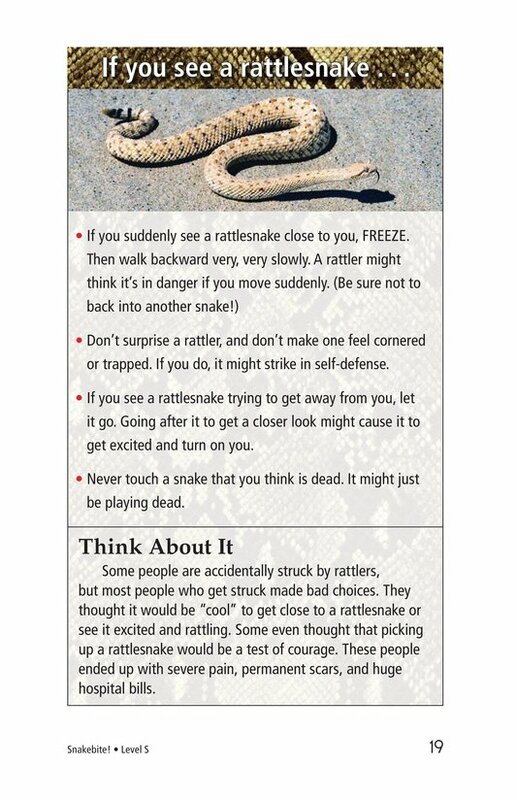 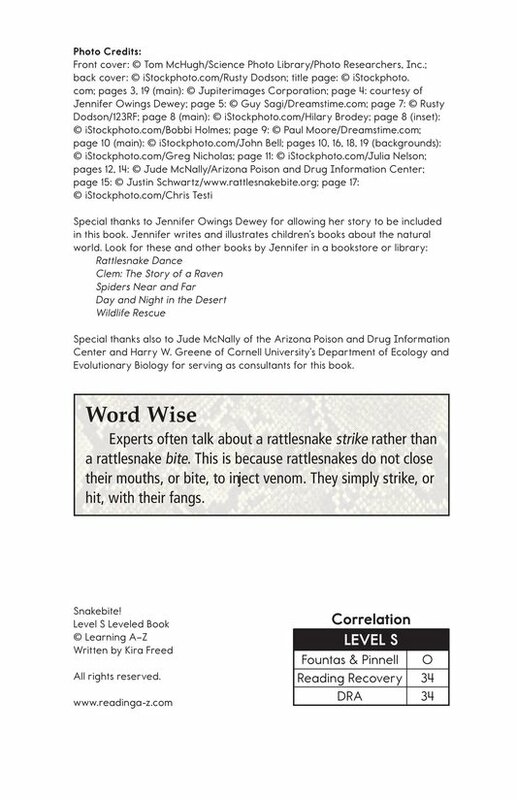 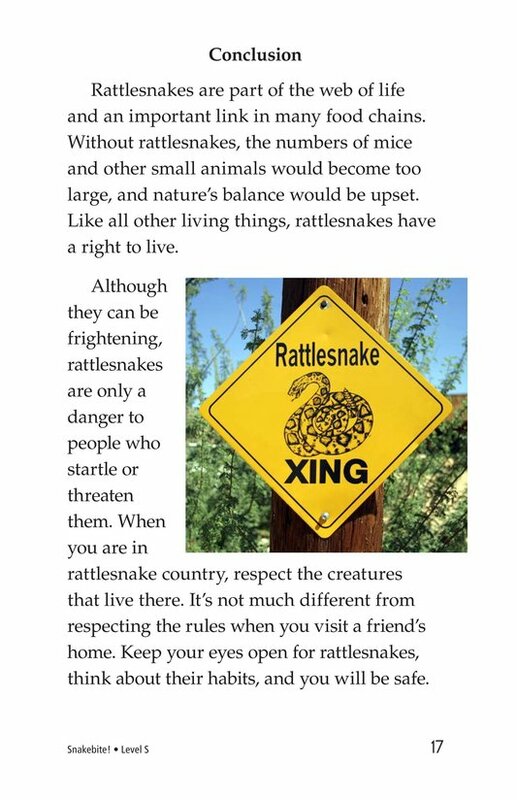 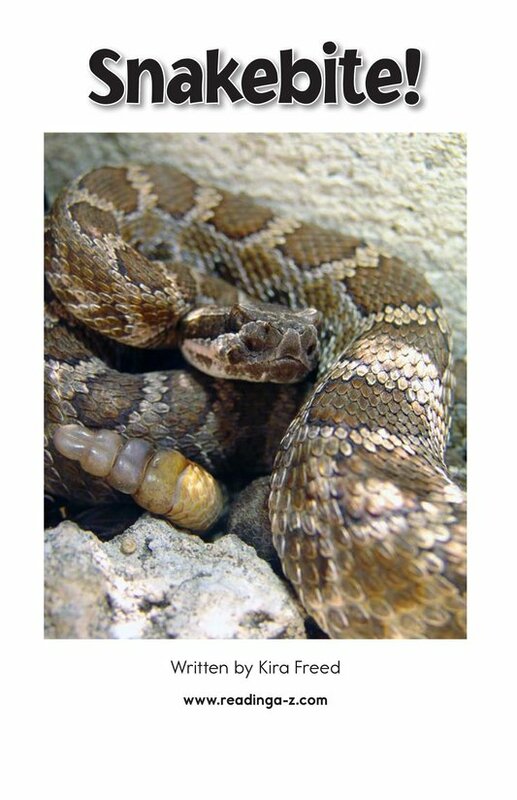 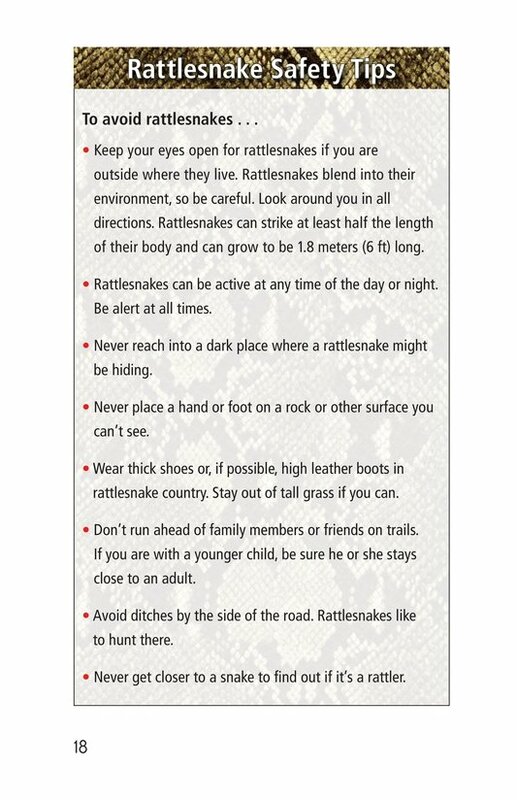 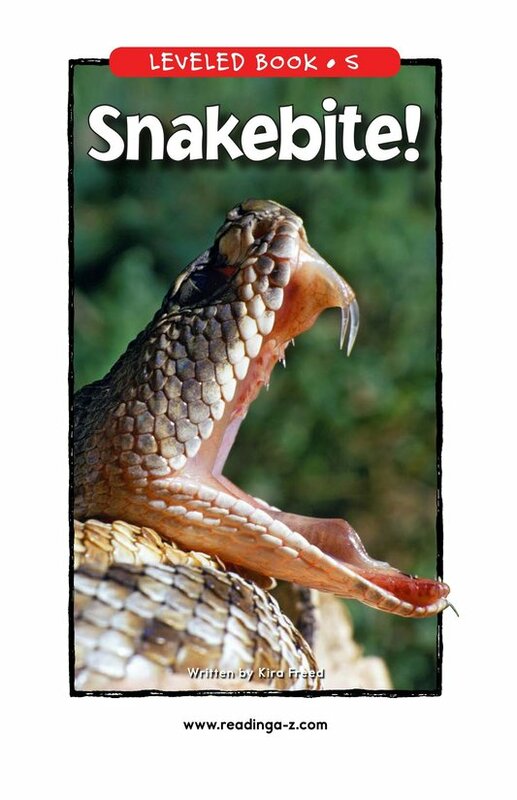 Through Jennifer's story, readers will learn about the wide variety of rattlesnakes and their behavior. 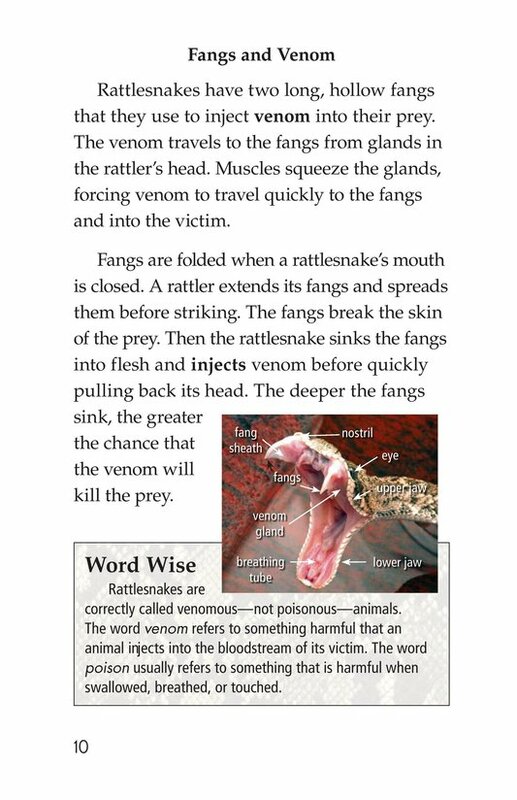 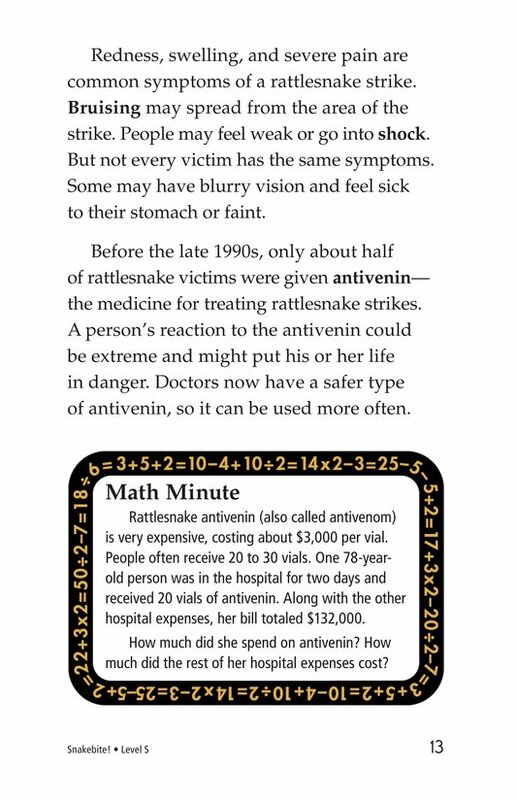 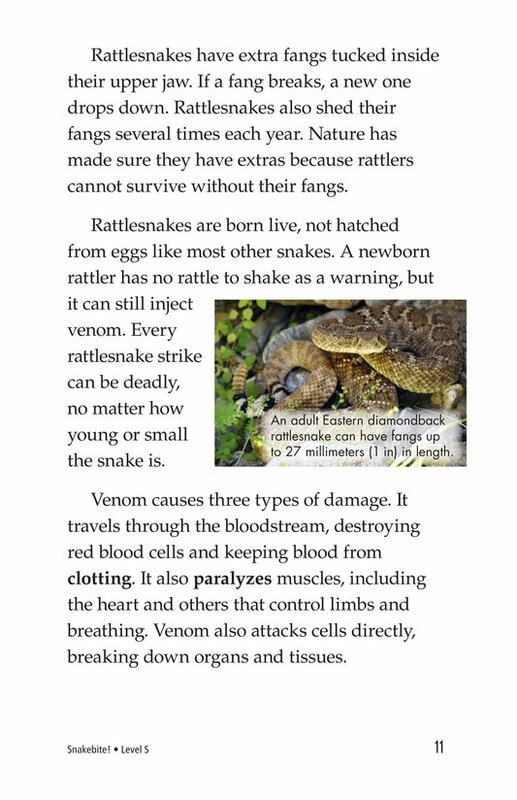 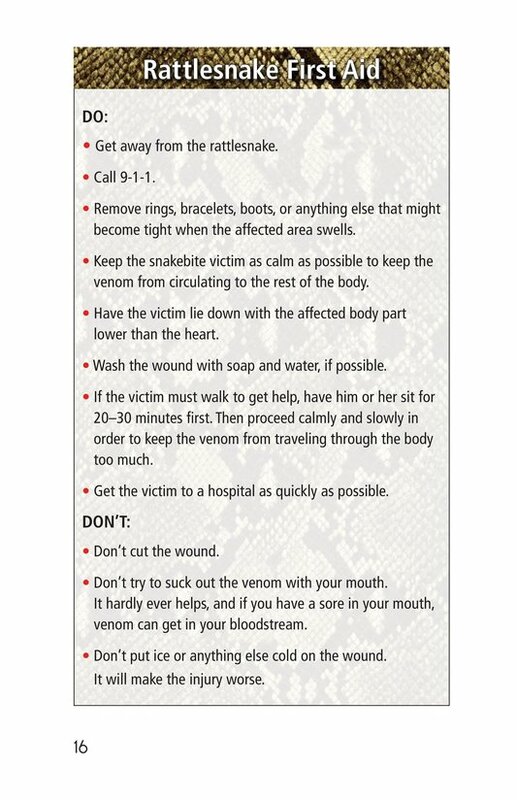 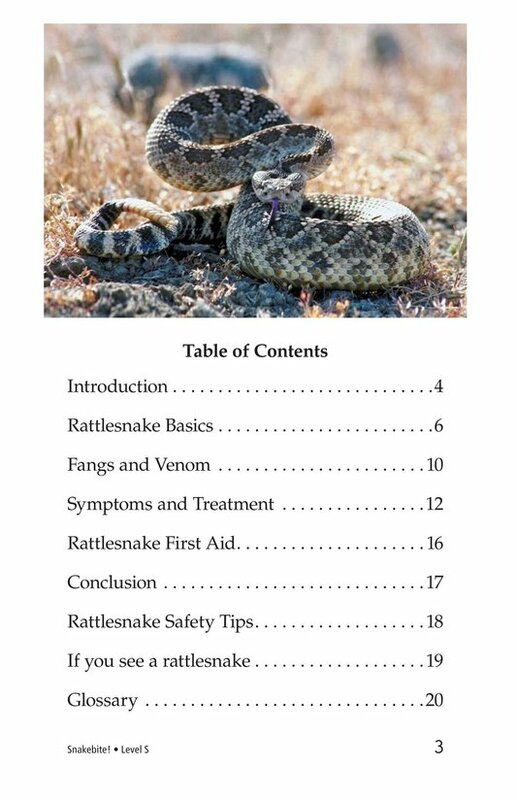 Readers will also learn how rattlesnake venom affects the body and how to treat a victim who has been struck by a rattler. 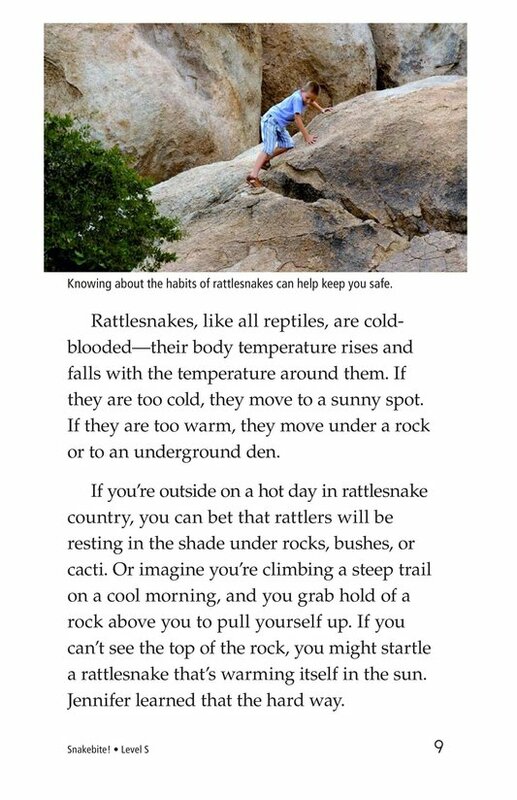 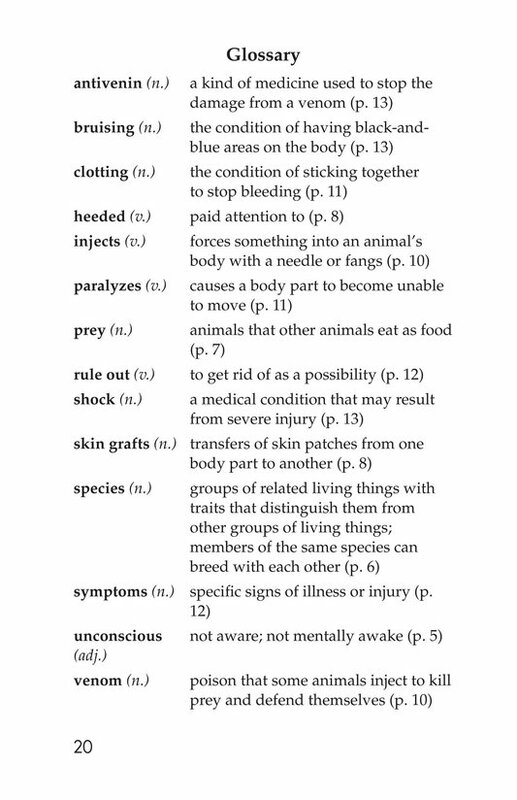 The book concludes with a list of safety tips.